The River Severn, below Welshpool, is an increasingly wide waterway with a steady flow. There is 1 weir, which has to be portaged, plus 6 Locks which may need to be portaged. The weirs alongside these Locks may NOT be shot. 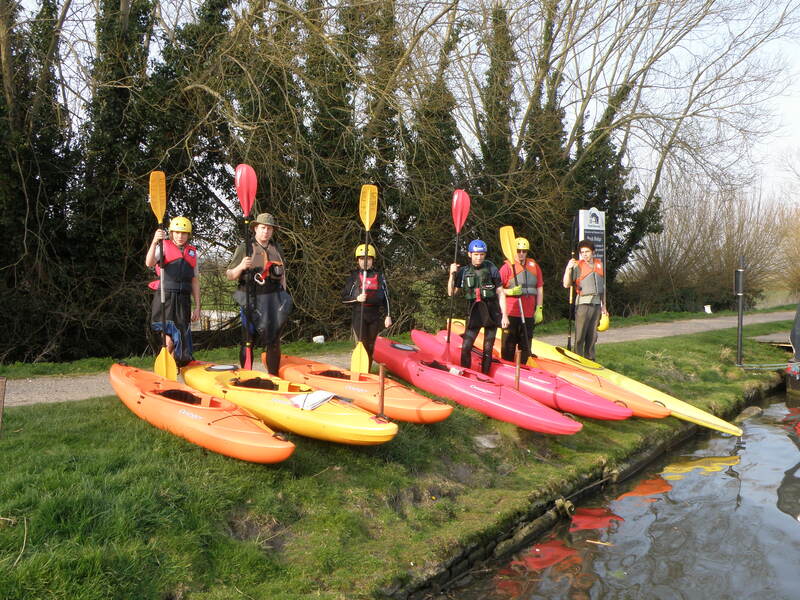 Thus many types of Kayaks or Open Canoes could be used. However, there a number of considerations which should influence your choice. The main consideration which may determine choice is that the boat will be used for 6 or more hours per day. The ideal specification for a Kayak (single or double) would thus be one designed for “expeditions” or Touring. That is a boat with a Hatch and Bulkhead. e.g. Dagger Approach, Pyranha Fusion RT. These boats will also usually have a sked which will ease directionality whilst “drifting” downstream. Many Kayaks without a Hatch space will still have quite a big space behind the seat which can be used for storage. Space already filled with buoyancy bag/s. Short “White Water” or “Playboats” are not really suitable for long journeys of this nature. All designs of Open (Canadian) Canoe would be suitable. Must have suitable lashing points for stowage of kit. Provided they have adequate storage, we have no reason to suspect they would not be suitable. There are a couple of “ripples” where the river flows faster descending a few feet in a short length, although these give a bit of “excitement” they cannot be described as rapids. There is one Grade 1 / 2 level rapid below Iron Bridge. Whilst this is presents a minimal challenge to paddlers it may be a consideration as a potential source of damage if you propose to use an old fibreglass boat.